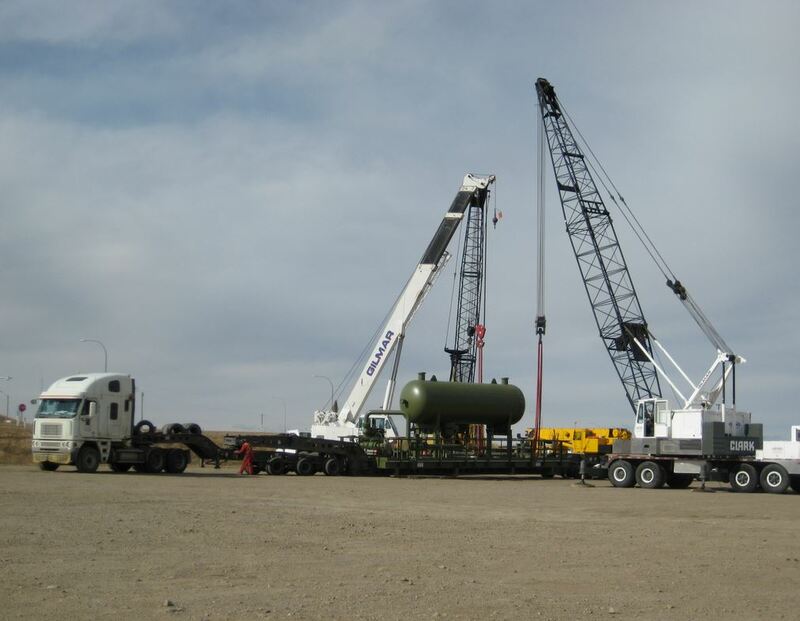 Gilmar Crane Service Lethbridge has experienced people and the quality equipment to do the job right. We can handle any project. We are cutting edge in specialized rigging solutions and have the capability to move any heavy or difficult items. Working in a safe and effective matter is our approach when it comes to using our special j-hooks as well as our experience in the Jack and Roll method of loading, unloading and moving product and objects. The Jack and Roll method of moving is a system of hydraulically linked jacks and rollers that ensure an even level when it comes to a proper lift. With years of experience as a family owned and operated business we take pride in finding the perfect solution for your business.